This stainless steel water bottle is an Entripy staff favourite and makes an ideal promotional giveaway for workplaces and schools. Featuring a screw-on stainless steel lid and a slim design for a sleek look, this custom water bottle holds up to 500 ml (16 oz) and is double walled with vacuum insulation to keep hot beverages warm for up 10 hours and keep cold beverages cool for up to 24 hours. 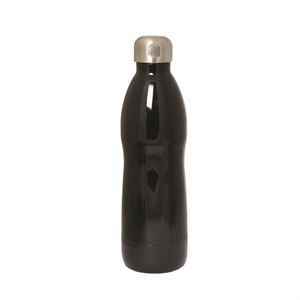 BPA free and FDA compliant, this custom water bottle is a healthier alternative to plastic water bottles.